Be sure to check out the history of this screen to see which companies have been selected in the past. Invesco Limited qualifies for the both the Defensive Investor and the Enterprising Investor. 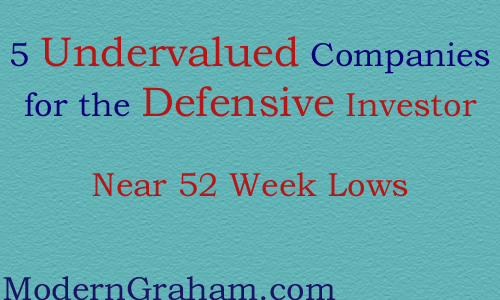 The Defensive Investor is only concerned with the low current ratio. The Enterprising Investor is satisfied because the company meets the more stringent Defensive Investor requirements. As a result, all value investors following the ModernGraham approach based on Benjamin Graham’s methods should feel comfortable proceeding with further research into the company.